Is Your Advisor on Your Side? This advisor or firm's only method of compensation is a fee - just like you compensate other professionals and firms that you rely on for specialized knowledge, advice, and services. Click Here to view Paladin's research report for this professional or firm. This advisor or firm is a fiduciary when providing financial advice and services for fees. Fiduciaries are held to the highest ethical standard in the financial service industry. They are required to always put their clients' financial interests first. As a fully independent advisory firm, we provide financial planning and portfolio management services in the purest sense. And because we are "fee-only," our objectivity is not tested by the lure of commissions or referral fees. While advisors who market financial products must adhere to certain product suitability standards, we are held to a fiduciary standard across all aspects of the advisory relationship. In short, we are required to place the interests of our clients ahead of our own in all instances. If you think we might be able to help you, please do call. We pledge to address your planning needs genuinely, objectively, and cost-effectively. We believe in Financial Planning in the purest sense. 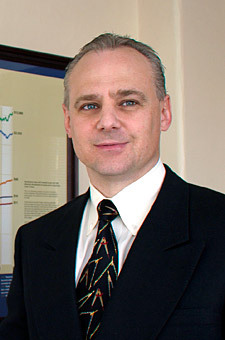 Listen to Glenn provide informative commentary on investment strategies. Simple, straight-forward answers to many financial planning questions. Learn about Commissions, Referral Compensations and more. Get information about relevant issues and what questions to ask in your best interests. Before accepting guidance from an advisor, resolve to understand what his or her credentials really mean. CFA and Chartered Financial Analyst are trademarks owned by CFA Institute. Certified Financial Planner Board of Standards, Inc. owns the certification marks CFP, Certified Financial Planner and federally registered CFP (with flame design) in the U.S., which it awards to individuals who successfully complete initial and ongoing certification requirements. The information contained herein has been obtained from sources believed to be reliable, but the accuracy of the information cannot be guaranteed. Third-party rankings and recognition from rating services or publications is no guarantee of future investment success and that working with a highly rated adviser does not ensure that you will experience a higher level of performance or results. Wessel Investment Counsel, L.L.C. does business only in those states in which it is properly registered. All investments have the potential to generate profits or losses. Past performance of any particular investment neither guarantees nor implies its future performance. 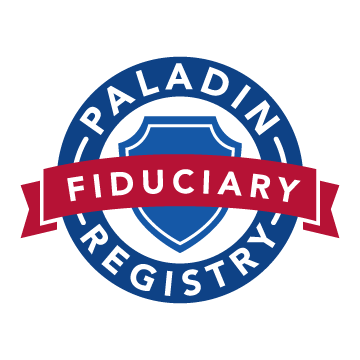 Paladin provides independent evaluations of financial advisors based on their credentials, ethics, and business practices. Of the approximately 30,000 advisors Paladin has reviewed since 2004, only about 7% of them have received a 5-Star rating. The remaining 93% are turned away. Paladin says, "The best certifications are the ones that required a lot of work and included a comprehensive examination to make sure the advisor´s acquired knowledge will help them do a better job for you. Four certifications and designations that stand-out are: CFA®, CFP®, CPA/PFS, and CIMA®."